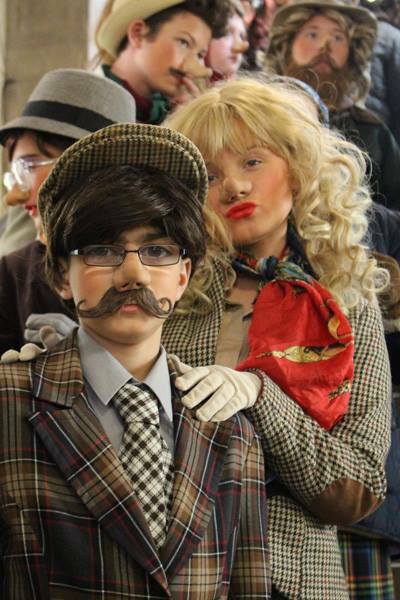 The performances are eye-catching and playfully mischievous. 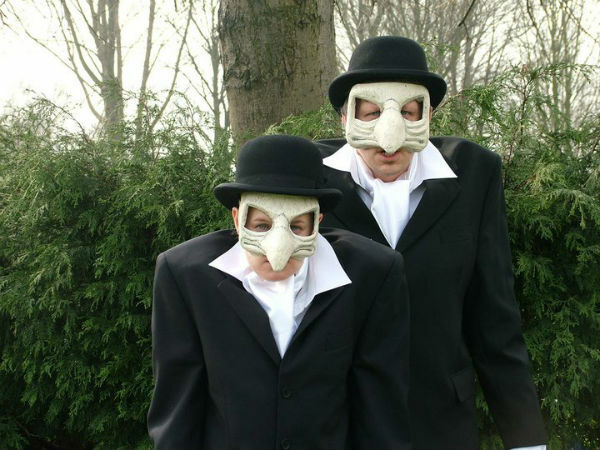 From a satirical platform they produce high energy, surreal characters that engage and interact with their audiences, creating laughter and jollity that ripples and bounces through crowds. The Sky Muffins, like all airhostesses, are committed to service with a smile and ensuring they are groomed within an inch of their lives. Watch as our captivating cabin crew swing into formation like a flurry of flamingos, seamlessly navigating their way through crowds and congregations dishing out hilarious antics and amusing banter. The Muffins are a spectacle to behold and they know it! They love to banter, fuss and frolic around guests, bringing humour to the surface of any situation, ensuring no one is left out and everyone feels equally special. Nothing is too much trouble for these girls, and we mean nothing! 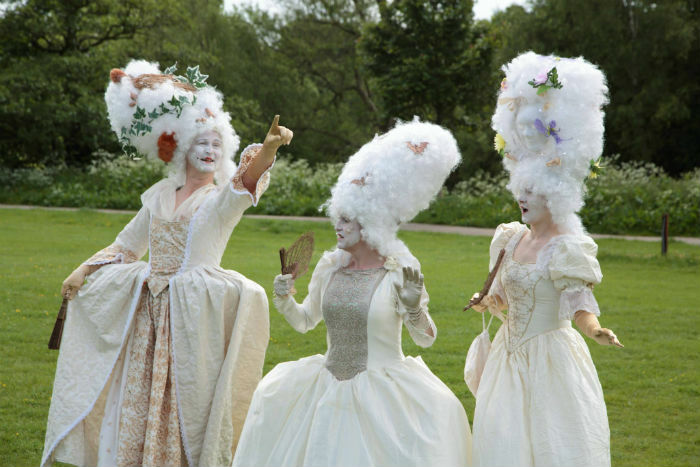 The Sky Muffins are a walkabout show, with the possibility of a static performance to fit any event. The Muffins make fabulous hosts for events adding that ‘muffin’ touch of class and are available for touring. Bushpig is a Country & Western band with a twist. This is musical satire, interactive comedy and kitsch entertainment served up on a platter of tunes and humorous banter that will have audiences shouting for more and squirming in their seats. A self-professed social commentator and self-described femme fatale, lead singer Mary-Lou is a woman of the world and she’s decided it’s high time she shared her seeds of wisdom with you. Allow her to seduce you with her invigorating honesty, guileless anecdotes and concrete backbone- after all, who has time for modesty? This is cabaret you won’t forget in a hurry- the melodies are catchy and playful, the singing well, she sure knows how to make herself heard and seen. This adorable family of aliens have taken a wrong turn around the galaxy and ended up on planet earth. As much as they try to blend in, they cannot help but look completely out of place. Utterly absorbed in their surroundings, the Oozebogs manage to find excitement in even the simplest of things. Fantastic family entertainment that engages children and adults alike, these enthusiastic and interactive characters love to imitate and play as they explore this new world, injecting energy and colour into any crowd. The Oozebogs are a walkabout show, causing confusion and delight wherever they are. With fantastic masks they are a great talking point and provide great fun for families and kids. 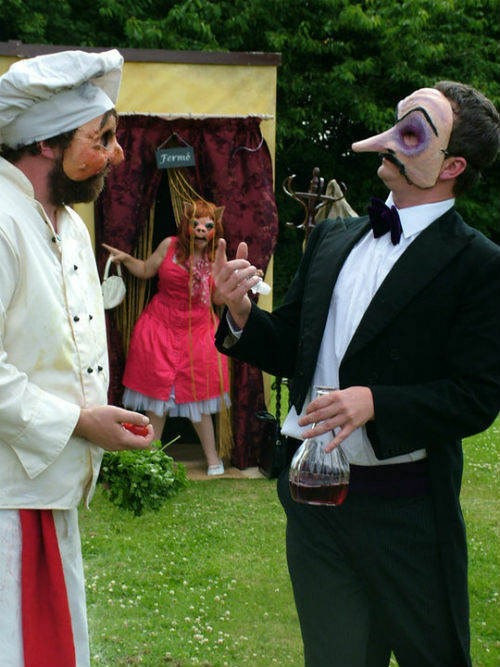 The show can be adapted to the needs of any event, festival or corporate. We are launching our new improved customer listening programme to show we care about you. We care about your money. We care about your house. We care about your assets. Why do we care so much? Because we own them! We at Pilford & Rigley would like to say ‘Thank You!’ to everybody for their help when we were involved in that nasty crash last year. We are pleased to announce the concern over the nervous markets and depressed hedge fund has quantitatively eased and a bonus culture thought to be extinct has been found alive and well and lining our pockets. We relish the opportunity to meet our customers face to face, to see where you live, chew the fat and pick at the bones of what you have left until everything of worth has been invested. We hope you will appreciate that here at Pilford & Rigley we pride ourselves on being Utter Bankers. Watch as your visitors titter and guffaw over these hilarious festive fancies. 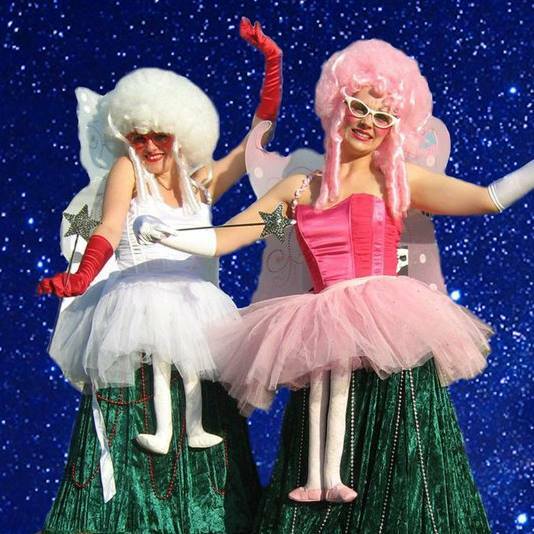 Perfect for parties, markets and Yuletide events, the fairies are dying to greet your guests, charm the crowds and generally enjoy being out of the decorations box. They love to gossip, gush and fuss over new arrivals, marvelling at the glamour of some festive outfits, whilst commiserating others on their lack of Christmas cheer. Set in a run-down, sleepy Bistro in the middle of anywhere, we meet uptight and eccentric maitre’d, Jean-Michelle and dangerously enthusiastic Chef, Bruno. Their desperation to impress leads them into a simmering pot of chaos when customers begin arriving and orders cannot be met. 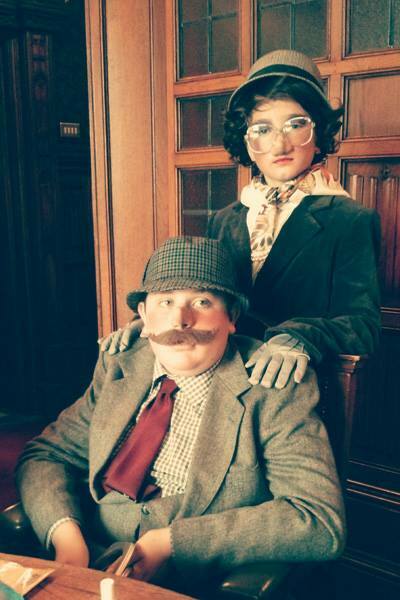 Can our gruesome duo pull it off or will they come to a sticky end? This static show is suitable for all ages as its quirky style and comic book humour is both visually enchanting and comedically charming. The set and costumes together with the light hearted narrative tell a quaint story of food, friends and culinary perfection. The Quants are a troupe of 60’s models that are obsessed with posing and throwing shapes- after all every setting is a potential shoot daaaaaarling. Quantified are brilliant at drawing crowds, showing off their modelling skills and getting others to pose alongside them. Inhibitions get banished, lips get pouted and the glamour puss comes out to play. 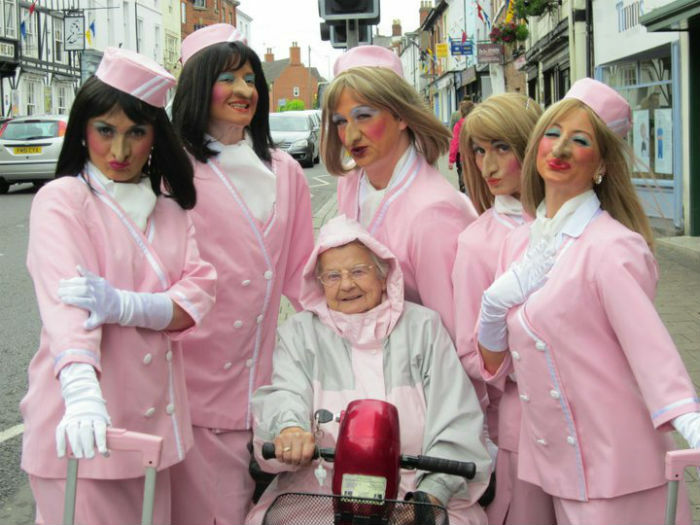 Our gals know how to get an audience all groovy- by putting some direction into their parade. Striking, strutting and generally ‘out there’, the Quants sure know how to make an impression. This is a walkabout / scootabout show, which will engage with passers-by and is perfect for a festival. Clients can commission their own ‘Aqueous Style’ show to fit their event or marketing campaign. Work with the creative and design team to build the ideal characters / performance to entertain your guests with unique and bespoke entertainment. For public events, partnerships with local organisations and community groups enabling your local community work with our team to perform their own work on the street. They are always keen to work in partnership with any organisation to create new work.